Saturday’s rally is a pretty small-ish job for USS, which services 24 states. To give you an idea, the company provides the roaming restrooms for the Rose Bowl Parade and the Rose Bowl in Pasadena — including servicing all those tailgate party, and VIP tent needs. But the company does a lot of business on The Mall — it was one of the porta-potty suppliers for the Obama inauguration. The Guardian has an article on the upcoming Rally to Restore Sanity and/or Fear. It’s a rally that’s proven difficult to characterize, other than it’s an attempt draw attention away from the vocal extremists and towards the more reasonable (relative) centrists. You would think this sort of talk would be relegated to the loony fringe conspiracy-type crowd, but in America, this guy has an audience of literally millions. I’ll be at the Rally on Saturday – it’ll be an interesting experience. Fast Company has an article about Russia’s oil & gas exploits in the Arctic, with a mention of how it is affecting indigenous tribes in the area. The writing isn’t all that great, but the subject matter is definitely interesting. We’re going to have to get more [tax] money from somebody. The question is, do we get more money from the person that’s going to serve me lunch today, or do we get it from me? I think we should get it from me. I have a lower tax rate, counting payroll taxes, than anybody in my office. And I don’t have a tax shelter — I just take the form and fill out the numbers. I think that’s very wrong, and I think that if we’re going to get money — and we’re going to need money; we are not taking in enough money at the federal government level … it shouldn’t be [from] the bottom 98%. It should be more from people at the top. What is the incentive to do better and develop yourself if the only thing you have to look forward to is a higher percentage of taxes if you do well in life. The way the middle class is going now, I would do better by earning less and taking what the government gives out. I am a proud taxpayer but I believe I already pay to[o] much and I am not even in the top tax bracket (yet!). By the way, I am still waiting on the IRS to send me some of MY money back, guess they are to[o] broke to pay me back. …and you realize that things like this are a good idea. There are a depressingly large amount of those types of people in the comments section of that page (many of whom are arguing against straw men, and some people on $250k+ who simply don’t want to pay more taxes). Of course there are still other issues that need to be dealt with – but that fact alone doesn’t invalidate this argument. I think one of the biggest challenges any lawyer has in any situation is the horrible reputation that every other lawyer has created for us. So what I think a lot about is how do you have the lawyers create value and be part of the company? And that’s everything from superficial things – like I throw a happy hour every 2 weeks where I buy the booze and invite the whole company to come, right? Just so that they have some interaction with lawyers that isn’t us telling them “no.” And similarly it’s being very open. We have open office hours and we do lots of meetings with teams. So to me—and I actually created a group at Google, Product Counsel, that’s now being implemented in some other companies, and that whole purpose of that group was to make sure that we were sort of embedded in the sort of press and wrap [unintelligible] with product teams, so that we were a part of those teams, and we could be more useful to those teams than just, you know, stamp “approve” or “not approve.” And I think that’s really important particularly around where the legal and ethical issues join, where you’re also often looked at in a startup environment, as a lawyer, as being part of the ethical backbone of the company. So making sure that you actually have a voice heard in the development process is extremely important. Macgillivray manages the User Communications Team (4 people), the Trust and Safety Team (22 people), and the Government Relations and Legal Team (4 people) at Twitter. This is an excerpt from a talk he gave at Santa Clara University on October 6. 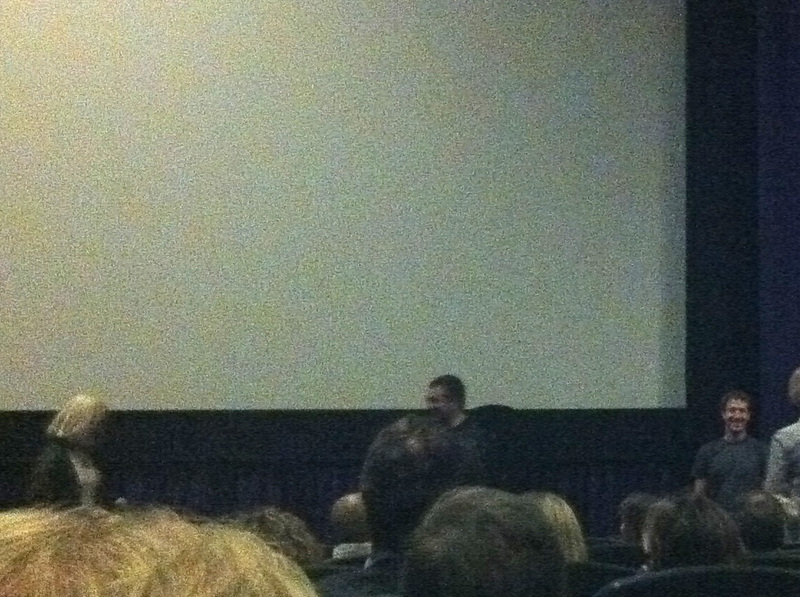 Saw a screening of Waiting for Superman tonight. It’s a well constructed documentary which looks at the state of the American public primary and secondary education system. Some of the revelations in the movie are startling. The biggest one is that high school teachers gain tenure after two years of teaching. That’s right – what it takes university academics years and years to attain, high school teachers get in only a couple of years. That assures them a job for life and the rationale behind this isn’t entirely clear (for university professors, the theory is that it allows them freedom of expression and freedom to pursue whatever interests them, free from the risk of being fired for political reasons). This means that even the worst of teachers can hang around – some are shown to read newspapers while their students shoot craps in the back of the classroom. This bottom 5-10% of teachers has a disproportionate and devastating effect on the overall quality of education American kids are receiving. Public school teachers are also paid lock-step: the bad teachers get paid the same as the good teachers and union contracts prevent them from being paid otherwise. Interestingly, the teachers’ union emerged as the villain here – under the guise of “promoting harmony” among teachers for the sake of the children – they steadfastly and stubbornly stick to the status quo. Their argument is ultimately unconvincing, because they’re all talk and no results. Clearly, when things are declining or not getting better, you need to change what you’re doing. Yet, the intensity of vested interests prevents this change from happening. The documentary makes a great observation – the focus has shifted from the children to the adults, no matter the rhetoric being overlaid by the union. This problem is of course seemingly endemic in American politics. Intense partisanship means opposing parties seem to always fight tooth and nail to maintain the status quo. Call me cynical, but even when things aren’t working, a party opposing a proposal will do their best to stymie the other side. Not because the other side’s views are worse, or even because they think the other side’s view are worse… but simply because they are the other side. It’s the ideology of extremism – of black and white, all or nothing, with us or against us. The movie closes with a lottery, where underprivileged but endearing kids try to get into better public schools via a lottery. The odds are stacked heavily against them, and most walk away empty handed. Why should getting a decent education be a lottery? See also this review in the New Yorker, which raises some thoughtful counterpoints. I went with a friend who had a unique educational background himself – he arrived in America without knowing English. On the first day he lost his wallet, containing all his cash and ID cards. He overstayed his tourist visa. Working a full time job, he somehow put himself through community college, worked his way up through an associate degree, and then a bachelor’s at a state university. His job also had to support his brother and mother, who were staying with him in a small one bedroom apartment. He ended up with a full scholarship at Stanford where he’s working towards a PhD today. Each week, he spends half a day teaching at schools in the area – he’s taught in the affluent Palo Alto High School (“Paly”), as well as Charter schools, and “tougher” schools in East Palo Alto and San Jose. We had a long conversation afterwards in which he painted a vivid picture contrasting the vast differences in schools which are only miles apart. Twenty years ago, Brazil was undergoing a bout of hyperinflation, with prices increasing at the rate of 80% per month. The story behind how they brought this under control is a fascinating one, and it relies less on pulling on the traditional economic levers and more on psychology (which is pretty much behavioural economics). The four friends set about explaining their idea. You have to slow down the creation of money, they explained. But, just as important, you have to stabilize people’s faith in money itself. People have to be tricked into thinking money will hold its value. Virtual reality headsets use the same technique for displaying 3D as we find in movies or 3D television sets – parallax. They project a slightly different image to each one of your eyes, and from that difference, your brain creates the illusion of depth. That sounds fine, until you realize just how complicated human depth perception really is. The Wikipedia entry on depth perception (an excellent read) lists ten different cues that your brain uses to figure out exactly how far away something is. Parallax is just one of them. Since the various movie and television display technologies only offer parallax-based depth cues, your brain basically has to ignore several other cues while you’re immersed in the world of Avatar. This is why the 3D of films doesn’t feel quite right. Basically, you’re fighting with your own brain, which is getting a bit confused. It’s got some cues to give it a sense of depth, but it’s missing others. Eventually your brain just starts ignoring the other cues. That’s the problem. When the movie’s over, and you take your glasses off, your brain is still ignoring all those depth perception cues. It’ll come back to normal, eventually. Some people will snap right back. In others, it might take a few hours. This condition, known as ‘binocular dysphoria’, is the price you pay for cheating your brain into believing the illusion of 3D. Until someone invents some other form of 3D projection (many have tried, no one has really succeeded), binocular dysphoria will be part of the experience. The problem isn’t so much 3D movies, though. It’s when the leap comes to 3D TVs and 3D computer games. Pesce postulates that the hours that kids could spend in front of a 3D display might, alarmingly, ruin depth perception… permanently. I don’t know if there is any medical basis for Pesce’s article, but it sounds plausible (but don’t all urban legends sound plausible?). In The Social Network, Eduardo Saverin, Facebook’s slighted CFO gets his shareholdings diluted from about 35% all the way down to 0.03%, while the other shareholders maintain their holdings in proportion. I have a reasonable understanding about how VC investment works, but I didn’t understand how this was possible. Others have wondered the same thing. Anyway, post-settlement, Saverin owns about 5% of the company, making him a billionaire. Litigation and Trial also writes an interesting article about why Zuckerberg won’t sue for defamation. And moving off the legal issues, Jezebel questions the unflattering portrayal of women in the movie. Random trivia: apparently, where I sit at work now is about 5 metres away from where Zuckerberg used to sit (a couple years ago when Facebook was still in downtown PA). This movie was much better than I thought it would be when it was first announced. Much of it is written with liberal doses of poetic license, but the dialog is sharp, snappy, humorous, and often cuttingly witty. And some things are still based on fact. Go see it. And who else tried looking for his LiveJournal page? There is a lesser known program where, if you are a U.S. resident, you can go to a European car dealer in America – BMW, Mercedes, Porsche, Audi, or Volvo – and ask them for European Delivery, or “ED” as its known on online car forums. The car will be built in Germany (or Sweden) and you will have to fly over to Europe to pick it up. Why would you want to do such a thing? Well, when you pick up the car, you get to drive it around Europe for a few weeks. And, because you’ll likely be starting in Germany, you get a chance to try out your new car on the autobahns. The only problem is you still have to break in the engine, so that could be frustrating. (Apparently the recommended break in for a BMW is maximum 4k rpm or 100mph for the first 1000 miles – which might be frustrating on the autobahns, so maybe you could drive around Europe and then come back to Germany near the end of the trip.) At the end of the holiday, you drop off the car at one of the drop-off points around Europe, some of which are outside of Germany, and it will get shipped to you, arriving in your neighborhood 1-2 months later. The kicker is that buying a car on ED is going to cost you several thousands of dollars less than buying it locally (unless you’re getting a Porsche, which actually charges a premium for this option). The reason is that some of the commissions and fees and taxes that get charged along the way disappear. So, the discount will basically fund the cost of your holiday in Europe, with change to spare, even if you bring someone along to share the experience. The manufacturers will even throw in a couple weeks of free auto insurance, and temporarily load up the GPS system with European maps, while you’re there. And you can do ED on lease (which might get past the break in thing, although you’ll possibly spoil the car for the next lessee or owner). If you’re thinking of buying a car… what a great idea for a vacation. The New York Times recently wrote an article about this, but this program has been floating around for many years. This short MoJo article observes a few things in life that are counterintuitive. Obvious but wrong. As Hungarian-born mathematician Abraham Wald explained at the time, if a plane makes it back safely even though it has, say, a bunch of bullet holes in its wings, it means that bullet holes in the wings aren’t very dangerous. I’ve decided to start dumping the bulk of the lengthy, interesting articles I read onto a separate site at read.hearye.org. I’ll keep the most interesting ones for this site. I’m also too cheap to buy Instapaper so this is the way I store stuff that I want to come back to read later on my iPad.